Our consultations will focus on your specific Cannabis business plan. We get you started on the right track and can assist you with local and state application for any cannabis business type. 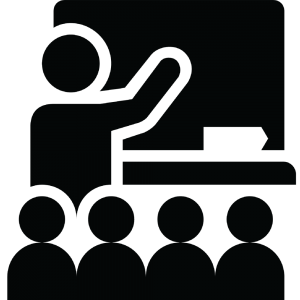 We provide training for Cannabis business owners, managers and employees. We assist entrepreneurs who are interested in becoming a part of the exciting new cannabis industry. We provide cannabis business seminars, consultations and cannabis business application preparation services for all cannabis business license types throughout California. Get certified to work and/or manage a cannabis business. Start your employee training and staffing. Learn the in's and out's of the cannabis industry and how you can start a cannabis business and receive permits. More than 30,000 cannabis business entrepreneurs have stepped through our doors and taken cannabis business seminars. Many have gone on to start their own cannabis businesses throughout California and other states. We have helped more entrepreneurs then any other cannabis consulting firm and we would love to help you reach your goals, as well! 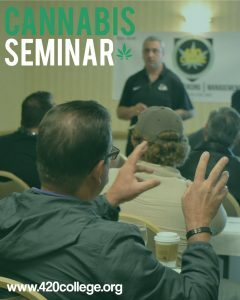 Our cannabis business seminars bring cannabis business entrepreneurs and enthusiasts together with business professionals to help them build business ventures in the cannabis industry. Get started today, check out our cannabis business services and choose the right one for you.